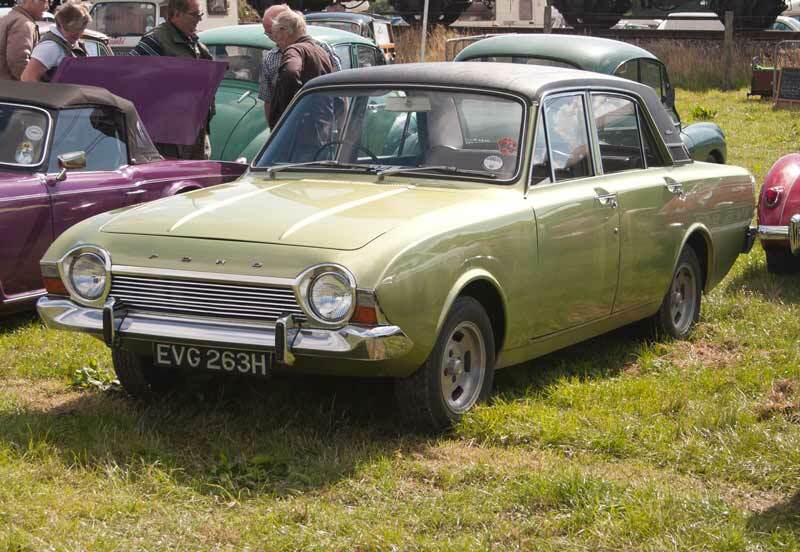 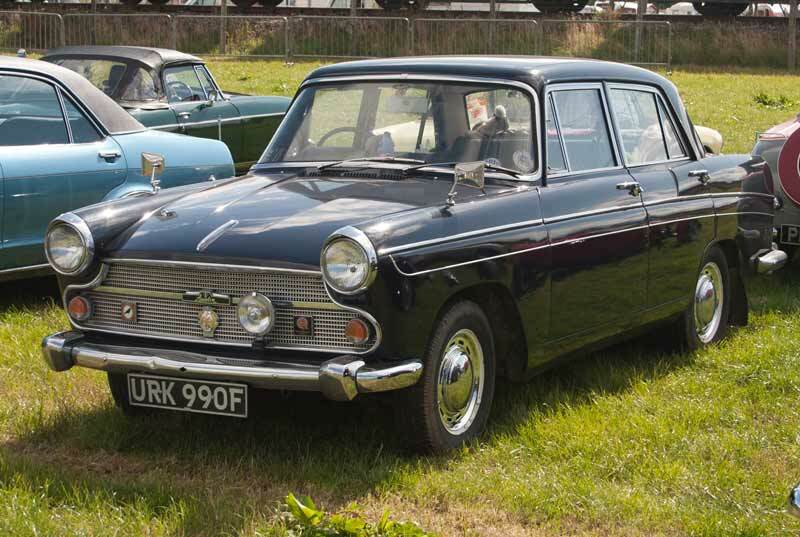 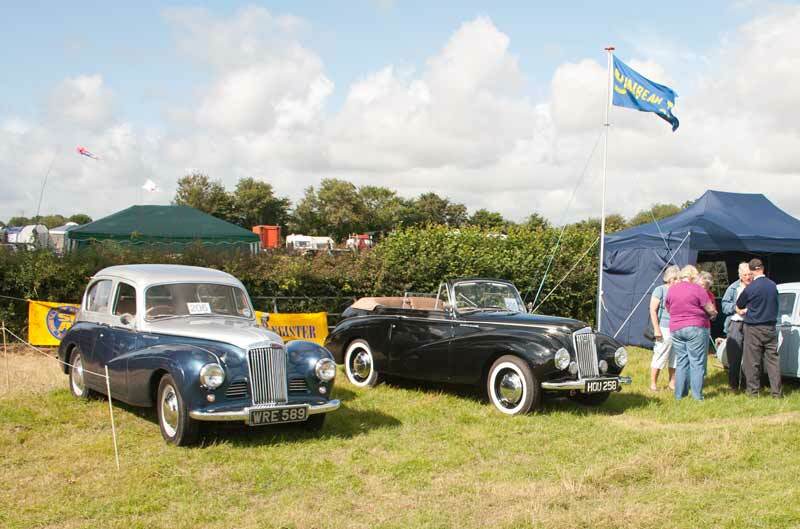 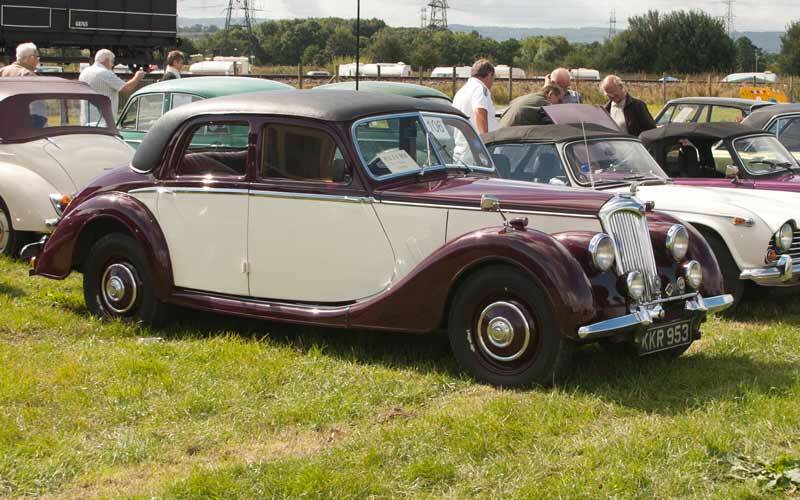 The second cars page starts with this pair of Sunbeam-Talbots. 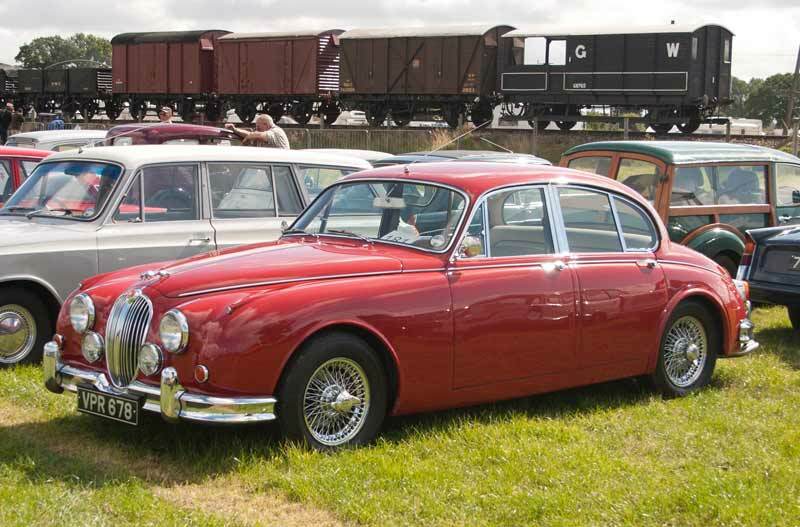 1963 Jaguar MkII 3.4 litre, what a classic! 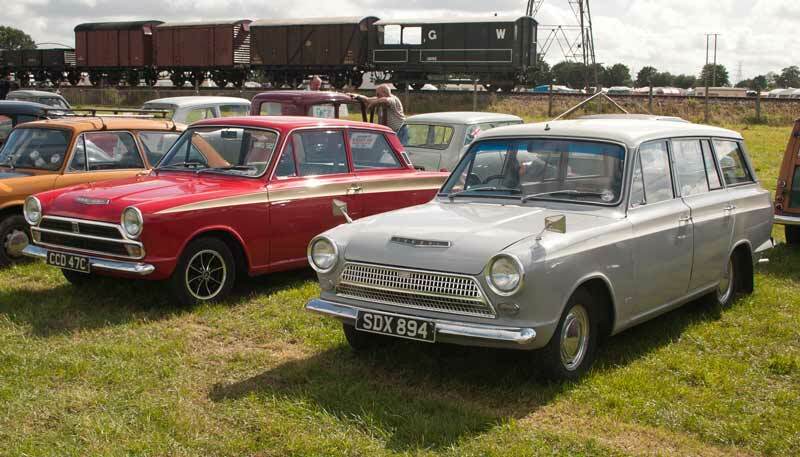 A pair of MkI Ford Cortinas, an estate and a GT. 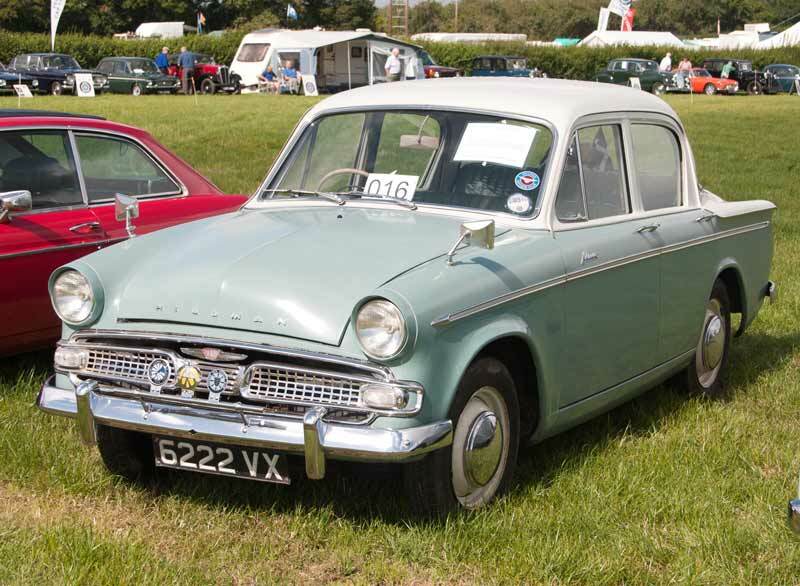 Morris Minor, Austin 1300 and MkI Ford Cortina - my first car was a MkI Cortina, second an Austin 1300 - and I learnt to drive in my father's Morris Minor! 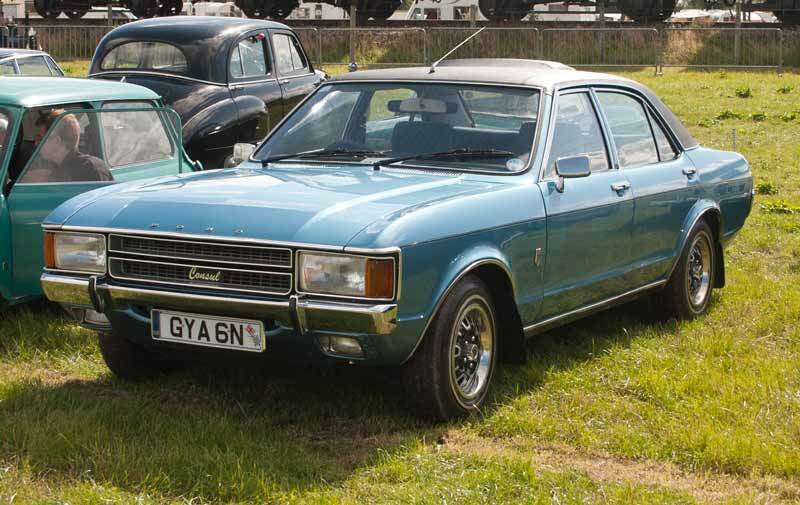 1974 Ford Consul - rather dwarfing the Mini beside it. 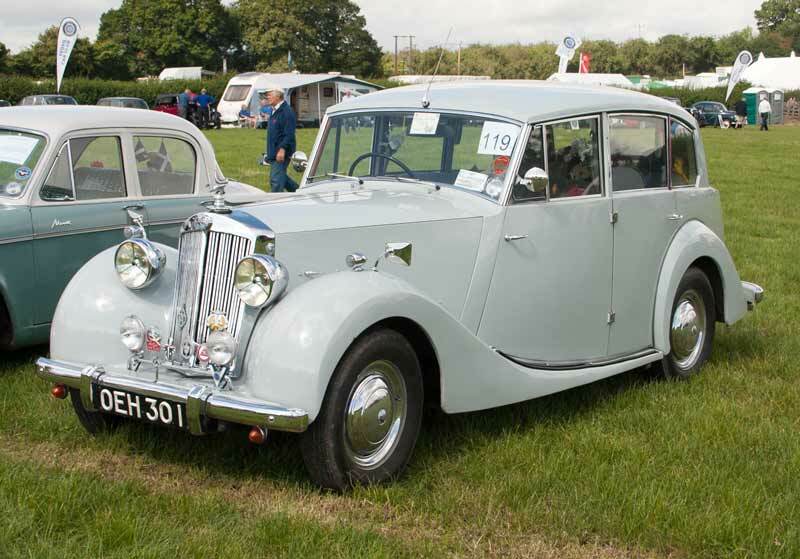 1935 Morris 10/4 saloon and a 1935 Morris Eight. 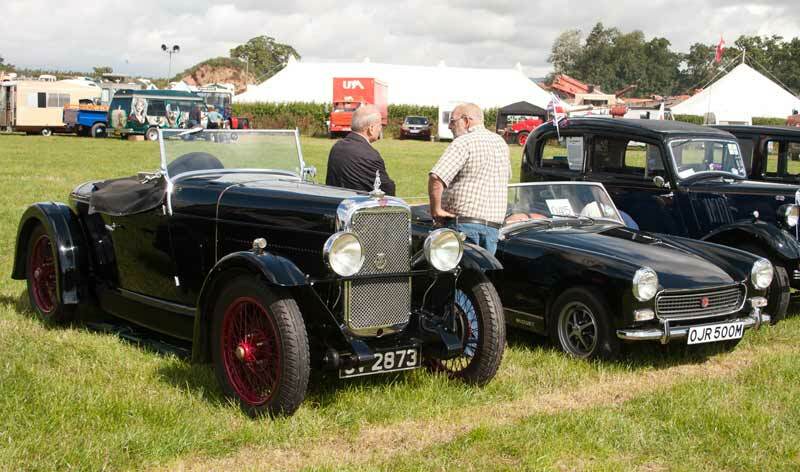 1931 Alvis TK 12/60 sports 1650cc and 1973 MG Midget - which has only done 35,000 miles. 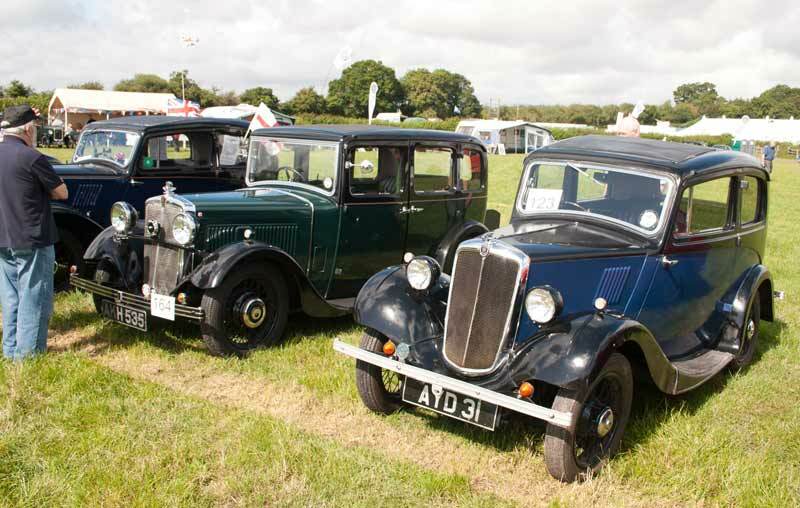 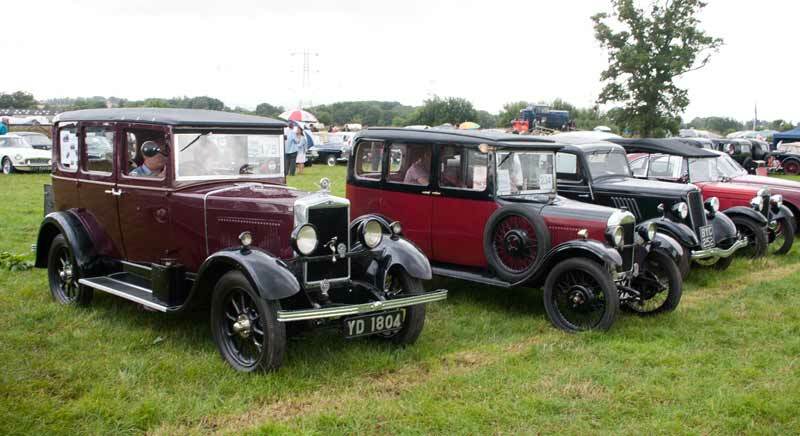 A line of Austins starting with a 1932 Austin 12/6 Eaton a 1933 Austin 10/4 saloon, no details for ABY165 and then an Austin Seven. 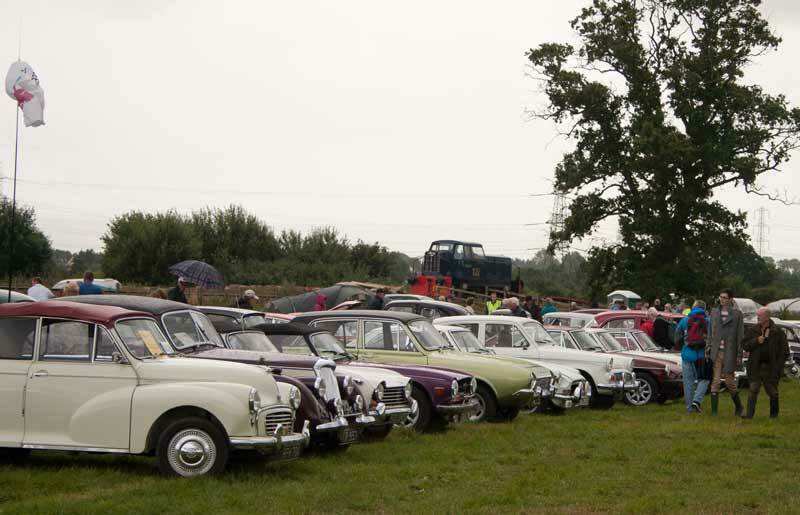 Another look at the line up of Austins. 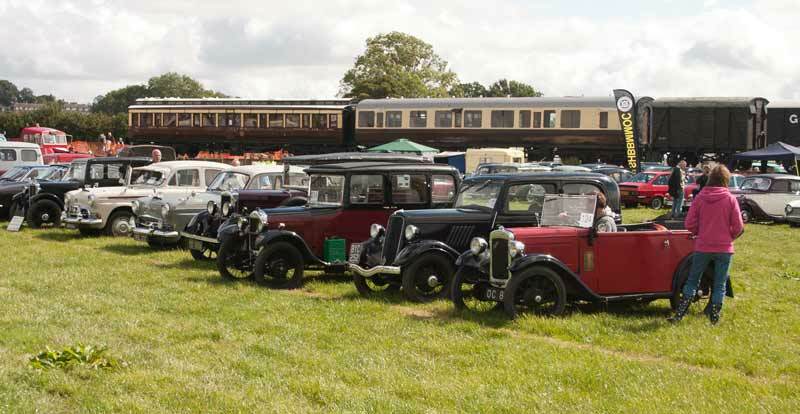 An interesting variety of cars with the heritage carriages behind. 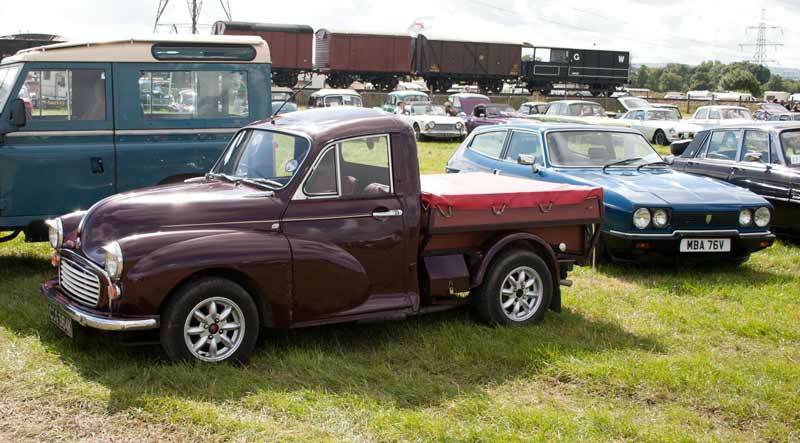 Morris Minor pick up - don't think this is a factory option! 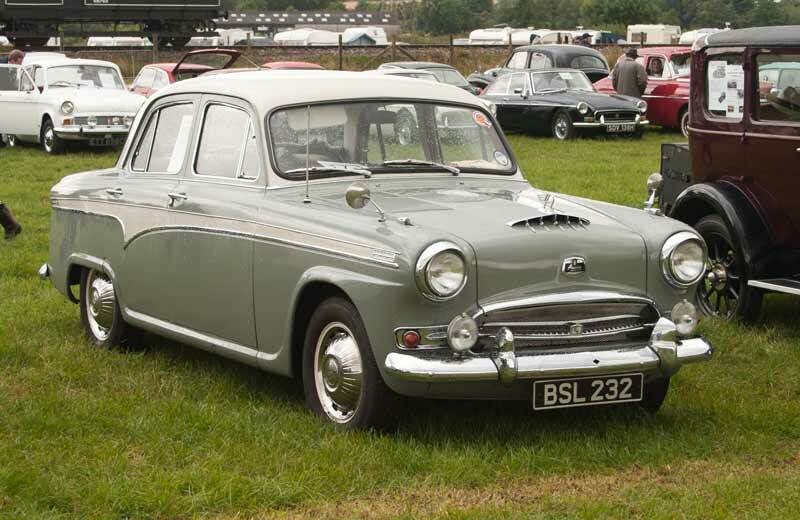 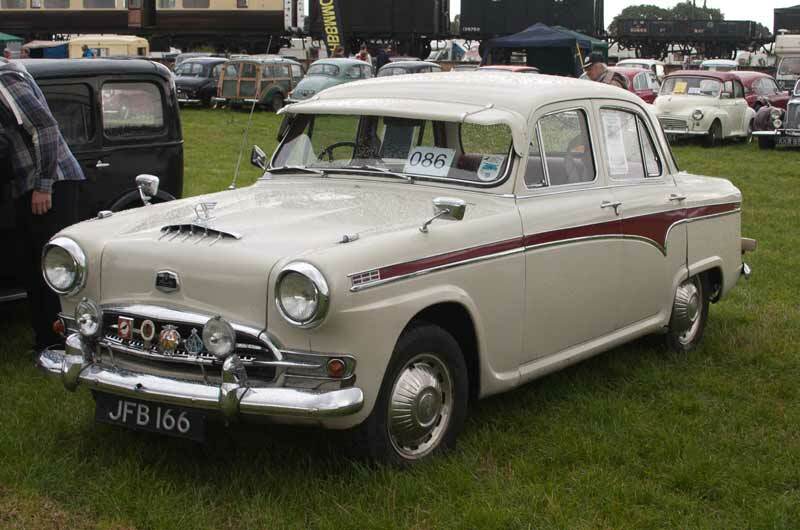 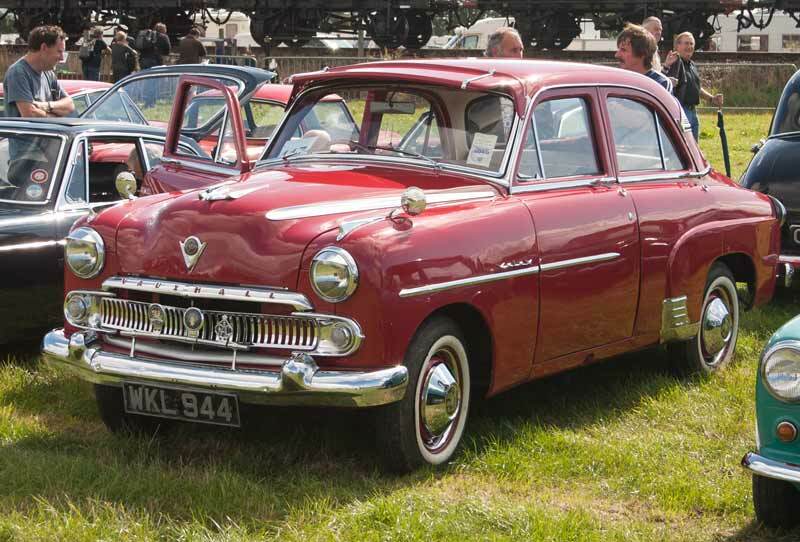 1958 Austin A105 6 cyl. 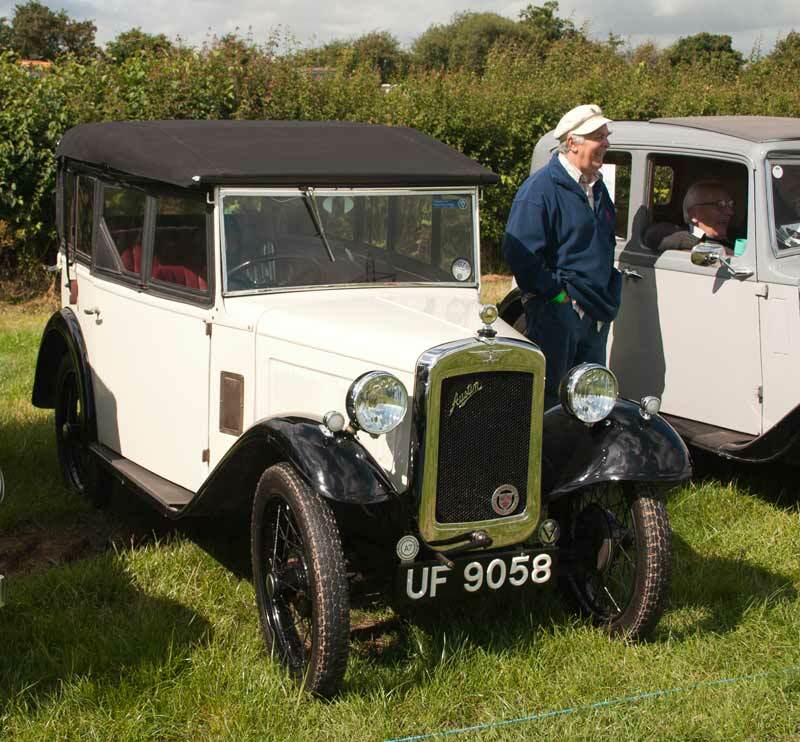 1930 Morris "Flatnose" Cowley at the end of an interesting line up - by now I was racing the rain and didn't note any details. 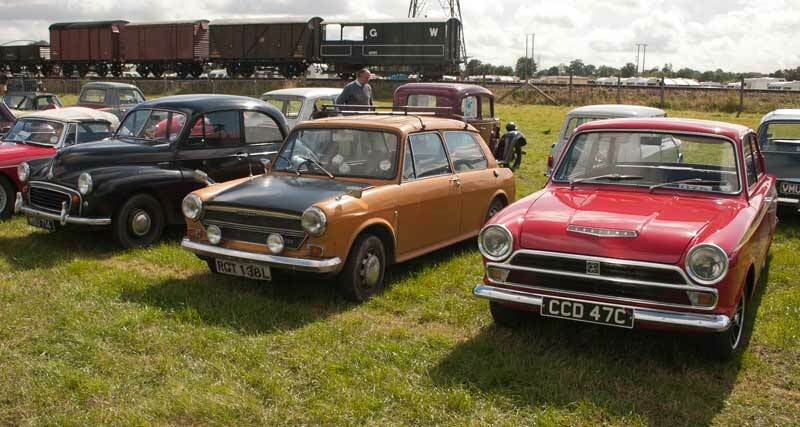 A line up of cars, many of which feature on these pages, with ex MSC Sentinel 0-6-0 doing "Driver for a Fiver" in the background. 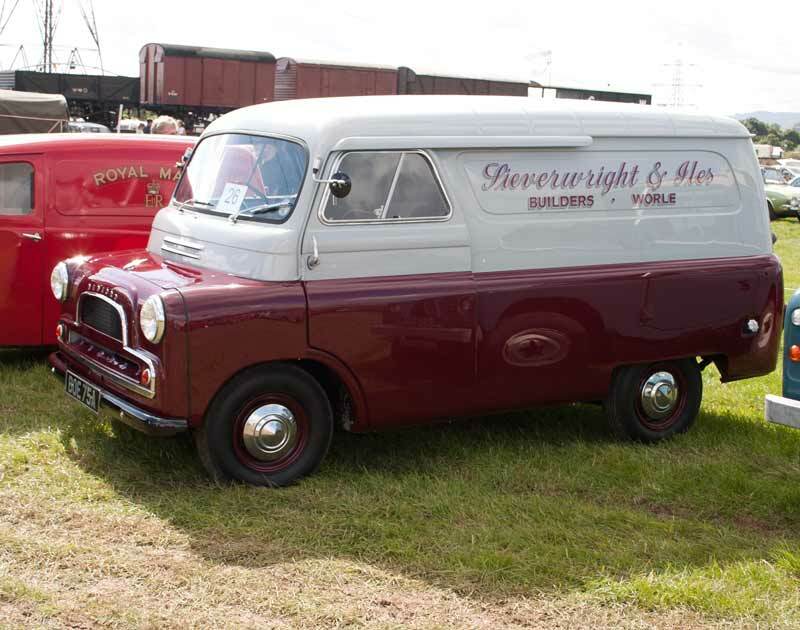 Visit our Travel Centre for train, tunnel and ferry times and tickets.